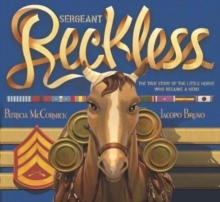 The inspiring true story of Reckless, the brave little horse who became a Marine. When a group of US Marines fighting in the Korean War found a bedraggled mare, they wondered if she could be trained to as a packhorse. They had no idea that the skinny, underfed horse had one of the biggest and bravest hearts they'd ever known. And one of the biggest appetites!Soon Reckless showed herself more than willing to carry ammunition too heavy for the soldiers to haul. As cannons thundered and shells flew through the air, she marched into battle-again and again-becoming the only animal ever to officially hold military rank-becoming Sgt. 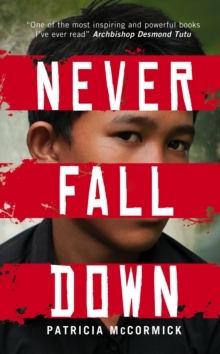 Reckless-and receive two Purple Hearts. This is the first picture book from award-winning novelist Patricia McCormick, sumptuously illustrated by acclaimed artist Iacopo Bruno.